Former France international Eric Abidal will leave Barcelona this summer after the Spanish La Liga champions decided not to renew his contract. The left-back who was joined by club president Sandro Rosell and sports director Andoni Zubizarreta at an emotional news conference, praised him for his bravery in adversity. The 33-year-old had hoped for a new deal, but he has told a news conference that his time at Barcelona would end when his current contract expires next month. 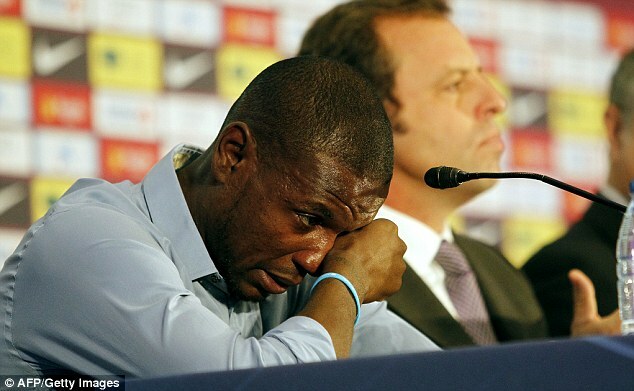 'I would have like to have stayed and played on at Barcelona but the club saw it differently and I have to respect their decision,' an emotional Abidal said. 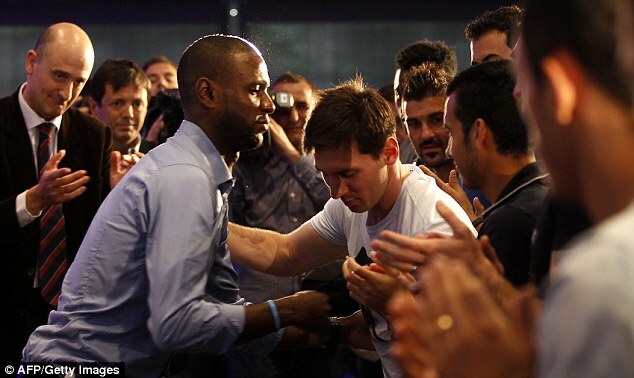 'I hope to return because it is a club (that is) very special to me,' Abidal added. 'It's a very difficult day for me,' he said via Barcelona's official Twitter account. 'I have played for Barca for six years and it's been the biggest experience of my life. I understand and respect the decision of the club. 'I'm going, but I'll be sure to return. I want to thank all the fans of the club who have supported me and have been looking after me. While Barcelona were unable to give him a new playing deal, club president Sandro Rosell has offered Abidal a technical director role. 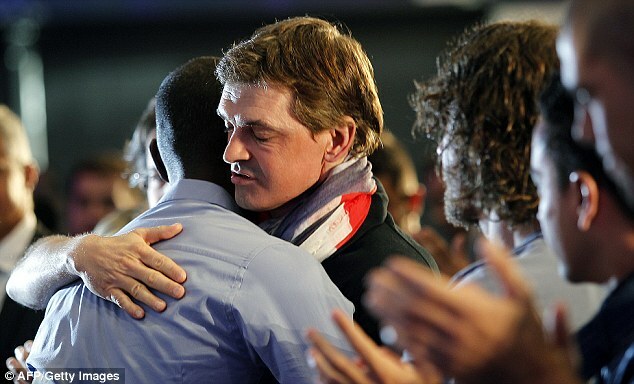 'Abidal has won our heart and has demonstrated such important things about life,' he said. 'The doors are open for Abidal to be the technical director of all of our football academies. 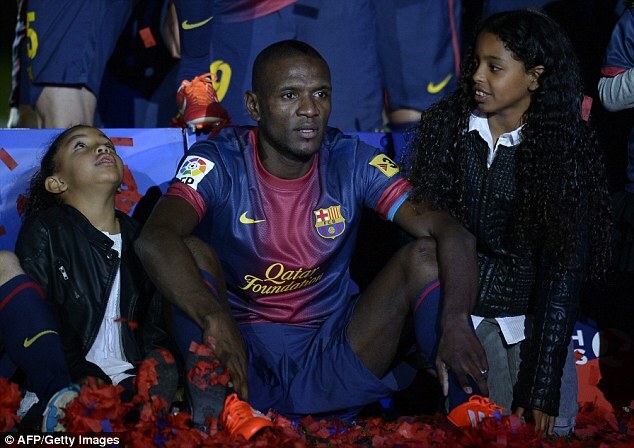 Abidal joined Barca from Lyon in 2007 and won 15 trophies during his stay at the Nou Camp. After he was diagnosed with a liver tumour, Abidal underwent an operation in March 2011 before making a triumphant return two months later to lift the Champions League trophy after Barca's victory over Manchester United in the final at Wembley.